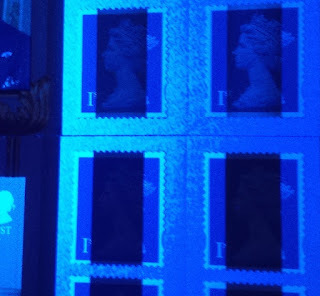 Earlier in the month I mentioned the different phosphors that have been used on definitives in recent months, with an explanation from Royal Mail. As Brian said, there were also similar but possibly better variations 3-4 years ago. 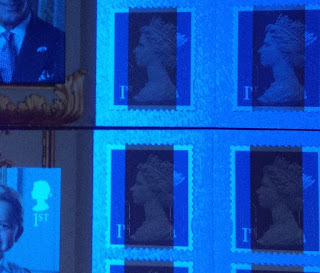 Of course the same applies to the commemorative stamps in mixed retail booklets, though reader John S has sent me some surprising photos of the two booklets issued for the Queen's Birthday. Of course not all UV-lamps or cameras/devices are the same so I checked with my own (a mains UV lamp probably ought to be on the Christmas list!). These are the pictures John sent. In all cases RB1 is at the top, and RB2 at the foot. There is clearly some difference, although only in the third picture can you see clearly what John suggests, that is that the phosphor on RB2 is brighter than that on RB1 - which would suggest that it was printed first using the old phosphor? 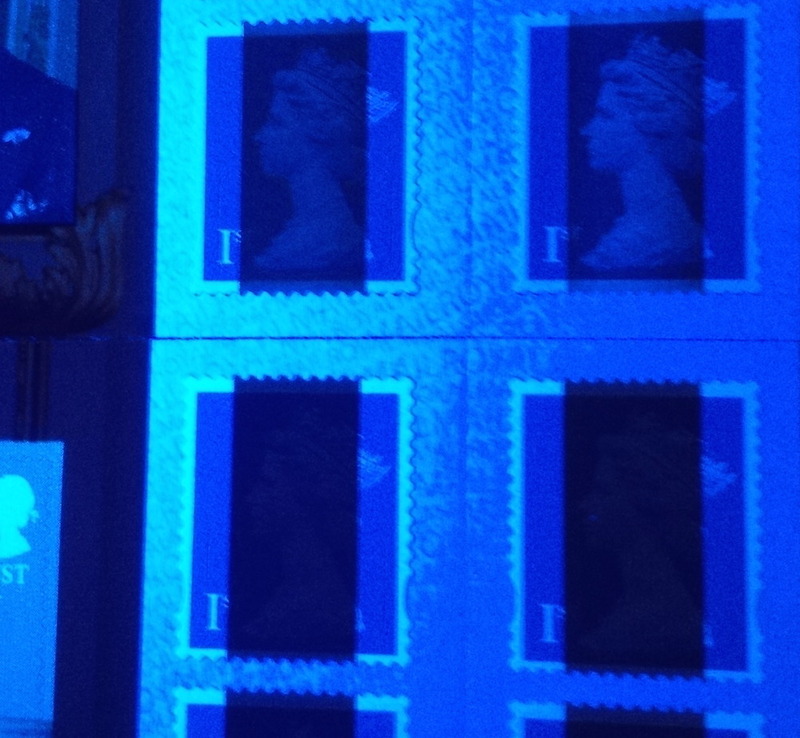 The reaction of the part of the stamp without phosphor bands is also interesting, suggesting that maybe the iridescent ink is what is causing the apparent difference. On my own picture, the Ultra Violet light is shining from the left, but I don't think the intensity of the light is what is causing this difference. In this case RB2 is on the left, and RB1 on the right. The reaction on the left is brighter, but the part of the stamp without phosphor is strikingly different.